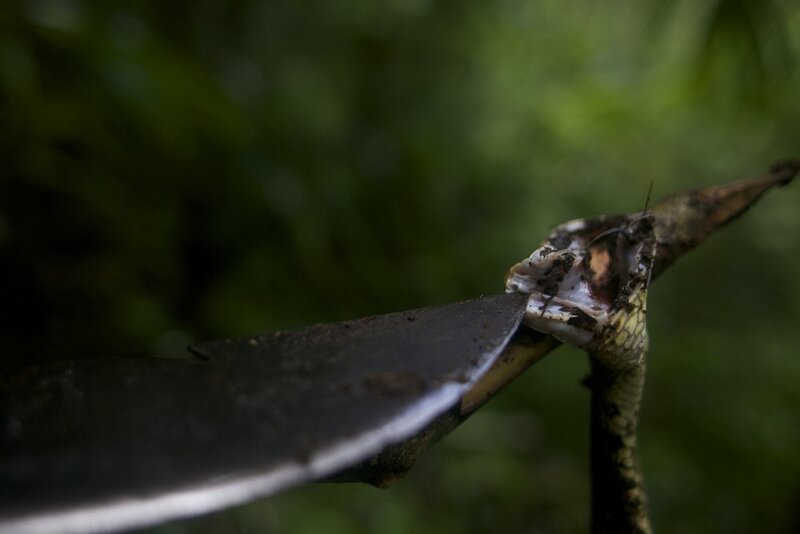 While walking through these thick jungles there is a high probability of being bitten by the deadly poisonous snakes that inhabit these areas which will stop your heart in less then an hour. We have seen a few just in the first fews hours, deadly and beautiful. The locals kill the snakes on sight, its quite sad to see them killed but they insist it must be done because its in the path we need to exit.